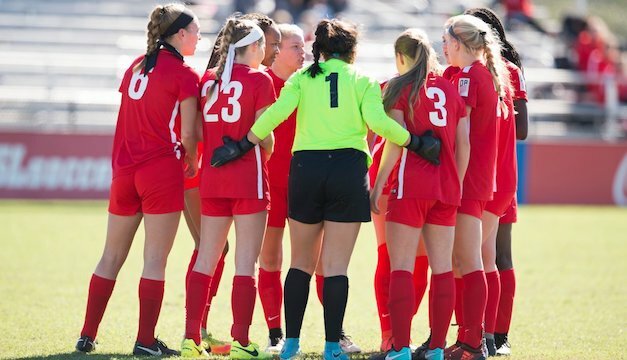 The league will provide players at the 16U level with a parallel competition platform alongside the Development Academy schedule, allowing more opportunities for players to develop within Girls’ DA clubs. East Brunswick, NJ (May 9, 2018) – As a result of interest from several girls U.S. Soccer Development Academy clubs within the East Conference, eight Girls DA clubs in the US Youth Soccer East Region have gotten together to form the 16U US Youth Soccer National League Atlantic Development Player EDP Conference. This conference gives these clubs a chance to participate in a competition with parallel scheduling to the DA that will culminate with a playoff and a chance to participate in the US Youth Soccer National Championship Series. The 16U US Youth Soccer National League Atlantic Development Player EDP Conference will be part of the US Youth Soccer National Leagues program, which is launching nationwide in the 2018-19 soccer season. Teams in this conference will now have the opportunity to advance within the National Championship Series through league play, as well as through their local State Cups. The 16U Girls team that wins the 2018-19 league season will advance to a playoff against other top tier champions of fellow National League EDP Conferences. The winner of this playoff will advance to participate in the Eastern Regional Championships and have the opportunity to win their way to the prestigious US Youth Soccer National Championships. Participating teams will also have the chance to advance to the Eastern Regional Championships via their local State Cup events. In addition to Atlantic Development Player EDP Conference play, as an added value to participation in the conferences of the US Youth Soccer National Leagues program, participating teams/clubs will be invited to compete in a series of US Youth Soccer Showcase events that are to be scheduled in 2018-19 and beyond.